The straight silver lines on the ebony of the handmade silver earrings represent the traces of the caravans in the desert. 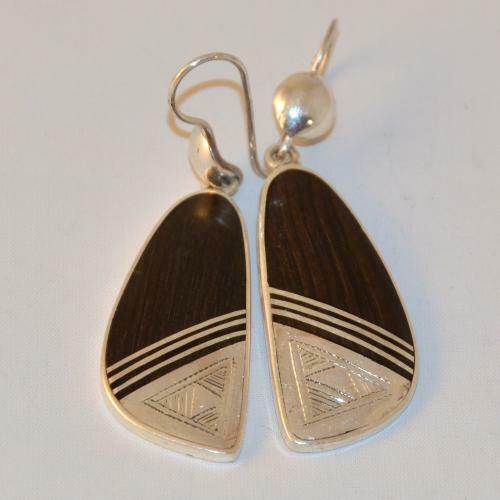 The striped triangles and Tuareg earrings represent the dunes formed by the wind. The lines around it are the tracks of the caravans in the sand. The triangle is an important symbol in the art of the Tuareg from Niger. It represents the map of the caravan route between Agadez, Zender and Bilma. 98% pure silver. The ebony is recycled.